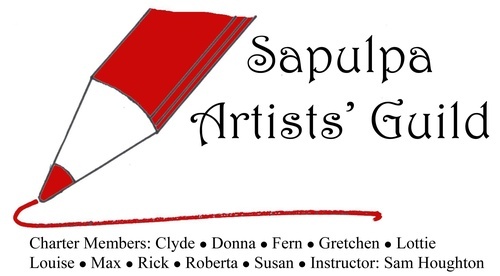 Sapulpa Artists' Guild members meet and paint every Thursday at the Sapulpa Senior Citizen Center, 515 E. Dewey Ave,. 5:30- 7:30 p.m.. The class is open and free to anyone who would like to paint with us. Local Artists and artists from surrounding areas are invited to join us. Call 918-224-8106 Sam Houghton, Director, of Sapulpa Artists' Guild.